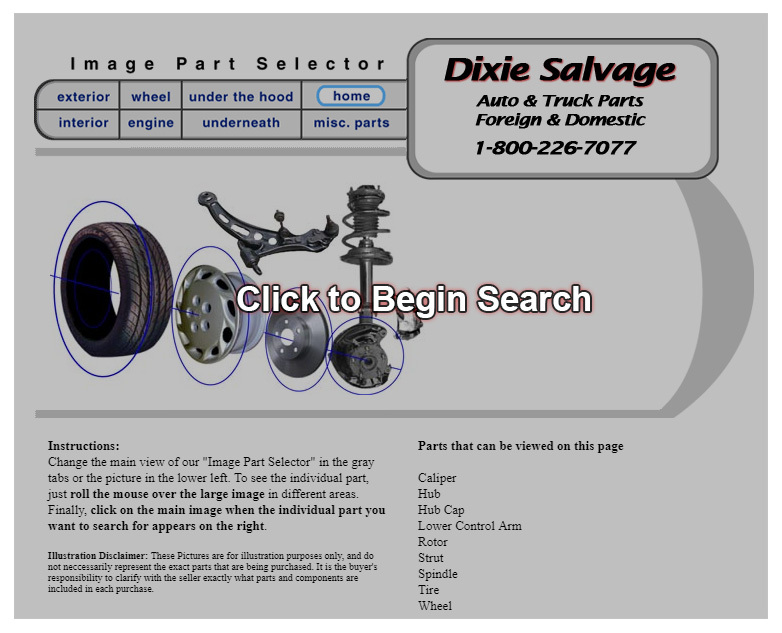 Dixie Salvage has made it easy to get the RIGHT auto glass, headlight, wheel or other miscellaneous parts you need for your vehicle with our Image Part Selector. Search by picture for auto glass, headlights, tires and so much more. This is a quick, easy and convenient way to find the part you need. Follow the easy-to-use instructions and the Image Part Selector will do the rest!